Let's get something out of the way right from the start: to make hollandaise sauce, you are absolutely going to have to make clarified butter. Clarified butter (as opposed to melted whole butter) helps stabilize your sauce, so that it doesn't curdle, and it really does make a difference. Why? Clarified butter is pure fat, whereas whole butter is 16 to 17 percent water, which can weaken the emulsion. Required tools for making clarified butter: A pot. A spoon. Seriously, you've got this. Mostly it's a matter of standing in your kitchen for half an hour while some butter melts in a pan. For the hollandaise itself, you'll also need a glass or stainless steel bowl, and a whisk, in addition to the aforementioned pot. Required skills: Pouring. Stirring. For our purposes, if all you do is let your eggs come to room temperature before you start cooking, you'll be helping yourself out tremendously. Just take them out of the fridge a couple of hours beforehand. The butter, too, of course, but you don't keep your butter in the refrigerator, do you? The water in the saucepan should have begun to simmer. After you've added all the butter, whisk in the remaining lemon juice and season to taste with Kosher salt and cayenne pepper (or a dash of Tabasco sauce). 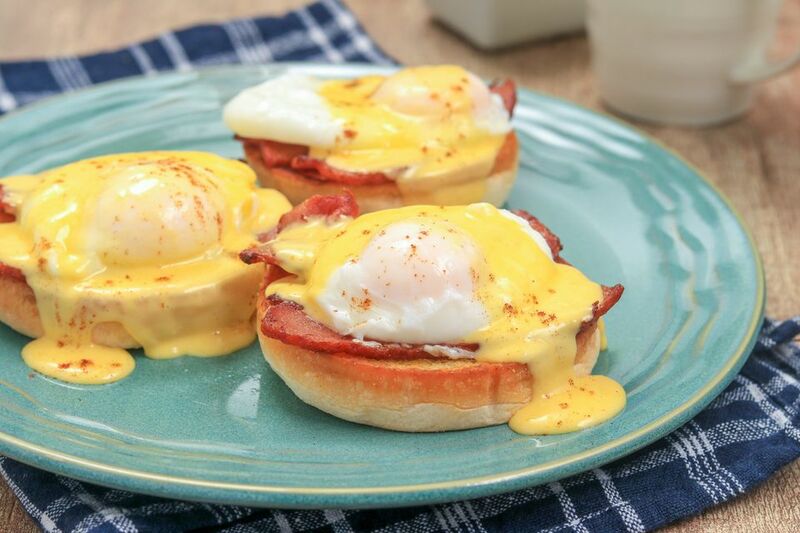 It's best to serve hollandaise right away. You can hold it for about an hour or so, provided you keep it warm. After two hours, though, you should toss it—it'll eventually start to separate, and food safety also starts to become an issue.